They serve plenty of liquor at Penuche's in Nashua. But they also serve food. BECAUSE THEY HAVE TO. You Asked, We Answered: Why Are There No "Bar Only" Bars in NH? This story is part of our continuing series Only in New Hampshire, in which we find answers posed by listeners about quirks of the Granite State. There's a funny thing about bars in New Hampshire. Technically, there are none. There are only restaurants. Sam and his wife moved back to the state in May. They bought a house in Mont Vernon. 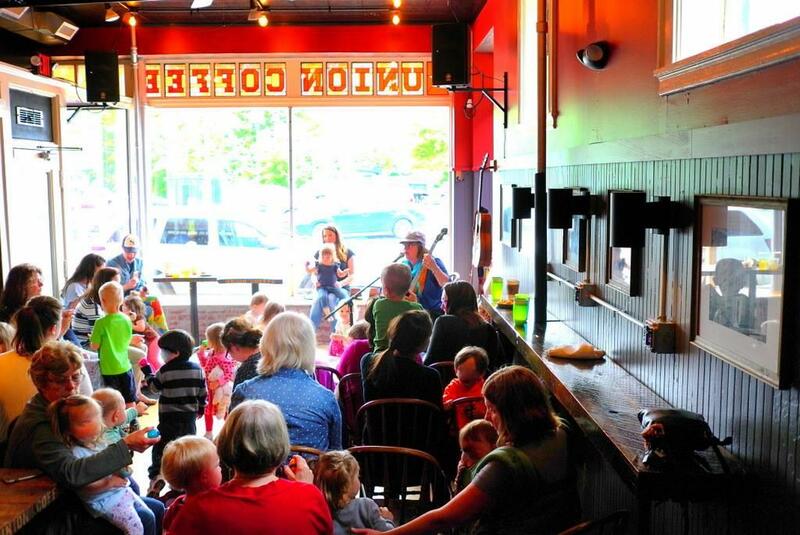 Sam works remotely, so he spends a lot of his days hanging out at Union Coffee Co. in Milford, just one town south. They’ve got craft beers. Coffee. Bands.A friend of his owns the place. "I was just talking to my friend there, wondering if they were going to have cocktails on their menu sometimes. And he said 'It’s complicated,'" Sam said. "I said, 'That’s strange, it seems like a simple question.'" There’s a funny thing about bars in New Hampshire. Technically, there are none. There are only restaurants. After Prohibition ended, when the 21st Amendment was ratified in 1933, states were given a choice. They could choose to continue banning liquor sales entirely. They could sell licenses, and let private stores and companies sell liquor. Or they could take over liquor sales themselves - in essence, create a state-run monopoly to oversee operations and collect taxes. About a third of the country chose that last option, including New Hampshire. Today we call these states “control states.” There are 17 in total, and they all do things a little differently. "Basically, it’s still illegal if a state wants to make it illegal, and everything is 'mother may I?' Everything we do is what we allow," said John Hunt, a 16-term Republican state representative from Cheshire County. Over the years, he’s sponsored a whole bunch of bills on New Hampshire’s liquor laws. "So originally, it was thought that the best thing to do when you have alcohol around is that you should have food. So there’s always been a food requirement. There are no 'bar' bars in New Hampshire." In other words, after Prohibition ended, legislators didn’t want bars or saloons opening up willy-nilly around the state. So, they only gave licenses to restaurants. Eventually, they made a more relaxed license for places that wanted to serve beer and wine. But if you wanted to serve the hard stuff - you had to to meet the food requirement. Today, 50 percent of sales has to come from food if you want a full liquor license. Alternatively, your establishment has sell at least $75,000 worth of food every year. The question is, in a state known for its “Live Free or Die” attitude, how has this law survived for so long? The question is, in a state known for it's 'Live Free or Die' attitude, how how has this law survived for so long? "I’m just mostly curious about the reason behind it," Sam told me. "It seems kind of strange to make sure that people drink responsibly that people need to eat food, while at the same time we have liquor stores on our highways. Seems kind of strange to me." In actuality, the New Hampshire legislature has carved out dozens of exceptions. There are special liquor licenses that allow establishments to serve or sell booze without food. There’s a special license for hotels. For airports. For vessels, and for train cars. There’s even one for alpine slides, a license rule that was passed before any alpine slides had been built in New Hampshire. And if you don’t meet any of the special exceptions, the food requirement applies. For sit-down, dining room-style pubs and restaurants, that’s not an issue. It’s your neighborhood dive bar that ends up feeling the pinch. But is there a loophole in the food rule? Sam tells me about the unusual food items sold at a bar called Penuche's in Nashua. 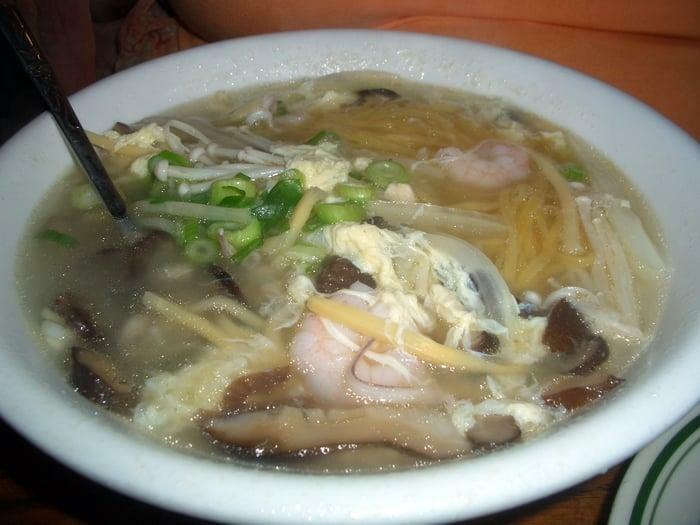 "Food that to me obviously looks like it’s meant to pass a law - kind of looks like Top Ramen with vegetables thrown in. It’s good and cheap, like four bucks a dish...are they selling $75,000 worth of ramen?" 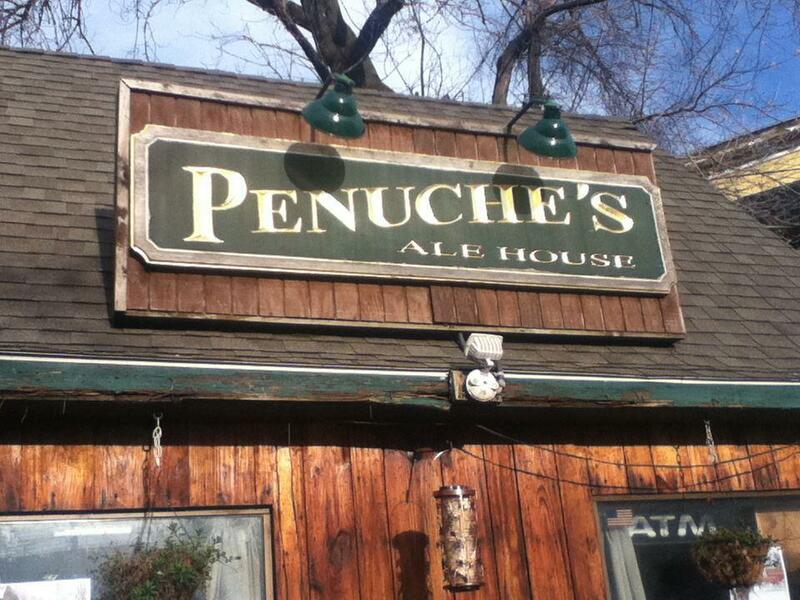 Todd Tousley is the owner of Penuche’s bar. Three of them actually - one in Keene, one in Concord, and one in Nashua. "What difference does it make if you get really drunk on wine or beer and no food… or shots of tequila AND food? It makes no sense, it’s all the same drug," Todd said. "I never did get the reason they have it that way, but they still have it on the books." Todd bought the Keene bar in 1990 - an old neighborhood dive off the main drag - and back then he made do with the beer and wine license. But over the years, as more and more restaurants started to pop up, competition forced him to upgrade. He converted an old closet into a kitchen, got a deep-fryer, and made up a menu. But Todd told me that doesn’t really change the basic facts. "Yeah, people come in and eat my food, but in reality, for so many years it was just a beer hangout place, most people really look at us as a place they want to have a few drinks and watch the game. It doesn’t really make us a restaurant just by having a kitchen." So how does the New Hampshire Liquor Commission feel about the way bars like Penuche's stay in compliance with the law? "I don’t get the everyday feeling that the state is out to enforce this rule particularly heavy, they’re more concerned about underage drinking and over-intoxication, which is important to us out in the field as well." In New Hampshire, the liquor commission doesn’t make laws. They enforce them - and they come up with other guidelines. Joe Mollica is chairman of the commission. But as long as the law stands, the Liquor Commission has to enforce it. One bar owner told me that as long as you make a good faith effort - as long as you look like you’re selling food, they don’t really care. Another told me that the food requirement is used to put pressure on so-called “problem bars” that are too rowdy. For example, in 2005, the now-defunct Club Liquid got busted for a few different violations, including failing to train employees and over-serving customers. But it was the food requirement that led the Liquor Commission to downgrade Club Liquid’s license. Eddie Edwards was chief of liquor enforcement at the time. "It seems on the surface like okay, well, that place appears to be a bar, not a restaurant." Edwards told me that the Liquor Commission works with establishments for years to help them meet the requirements before resorting to enforcement. But he’s not a big fan of the law either. When he was with the commission, Edwards even recommended the state do away with the food requirement entirely. He said he suggested "we split the categories, that we’re realistic about what’s going on… but there’s a lot of tug of war going on there." 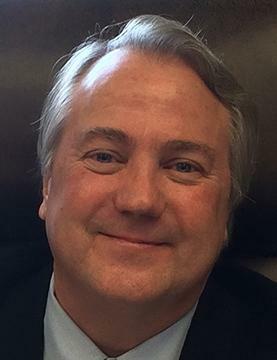 In 2001, Rep. John Hunt sponsored a bill that would simplify the state’s licensing, and do away with the food requirement. In exchange, bars that wanted to serve hard alcohol without serving food would pay more for their licenses. "That would be the second time I tried this," Hunt said. "And each time it was always the Liquor Commission’s idea by the way, and I was sponsoring the bill for the commission...you know, let’s run this up the flag and see what happens." In public hearings on the bill, one representative asked if this bill would mean bars wouldn’t have to serve pretzels. A moral argument came up, too. Donald Wharton, who was then President of Plymouth State College, wrote a letter of opposition to the House Ways and Means Committee. Republican state rep John Hunt has been a crusader for loosening the state's liquor laws. Alas, his bills are dead. They're all dead. The Liquor Commission testified diplomatically in favor of the bill. Hunt paraphrased their comments with a little more flavor. So what happened to that bill in 2002? "Oh those bills have died," Hunt told me. Eddie Edwards and Chairman Joe Mollica both told me that one of the reasons the food requirement stays in place is because of all the restaurants that have already had to comply. I spoke with Mike Sommers, President of the New Hampshire Lodging and Restaurant Association, which lobbies on behalf of restaurant owners in the state. As far as I can tell, the association was technically in favor of the 2002 bill; their lobbyist was marked in the “pro” camp on documents about the hearings. Still, Mike explained why restaurants might be in favor of the status quo. "You know a lot of these guys - because of the food requirement - have already invested a significant amount of time effort and resources in the way of kitchen equipment, kitchen staff, food storage equipment, et cetera… and when you roll it all up it’s a significant amount of money." There’s a sort of inertia to these old laws. If you change the law, it’s easier on the up-and-comers than it was for the old-timers. "You’re essentially gonna have a bunch of bars pop up around the state, who are going to directly compete with these restaurateurs, who have been forced to put in all this equipment and all this capital investment… and now exactly what do they do without losing that investment?" As it turns out, this isn’t a rhetorical argument. Remember Sam, who asked us about the food requirement in the first place? Turns out he’s actually got some skin in the game. "I love craft cocktails - so I would actually be interested in opening a tiny cocktail bar in the future but I don’t think I want to go through the trouble of opening a whole kitchen and restaurant. For me that’s inhibiting me from opening a business." I told Todd Tousley at Penuche’s about Sam’s dilemma. To be a successful entrepreneur, he said, you can’t be scared of the rules. "Man, don’t be afraid! Just find the rules, make yourself a kitchen, try to do it right and open your cocktail bar! Don’t be afraid. Just go for it." Do you have a question about a quirk of New Hampshire or your community? Submit it at our Only in NH project page and we might investigate it for a future story. UPDATE: On Thursday the New Hampshire Senate without debate killed a bill that would have repealed a law requiring ex-felons to get a waiver from the state liquor commission in order to serve alcohol to the public. Original story follows below. If you want to work as a server or bartender in New Hampshire, and you have a felony on your record, you have to do a little more than just fill out the application – you also need approval from the state liquor commission. This requirement has been on the books since 1969 and an effort to change it, goes before the state Senate Thursday afternoon.